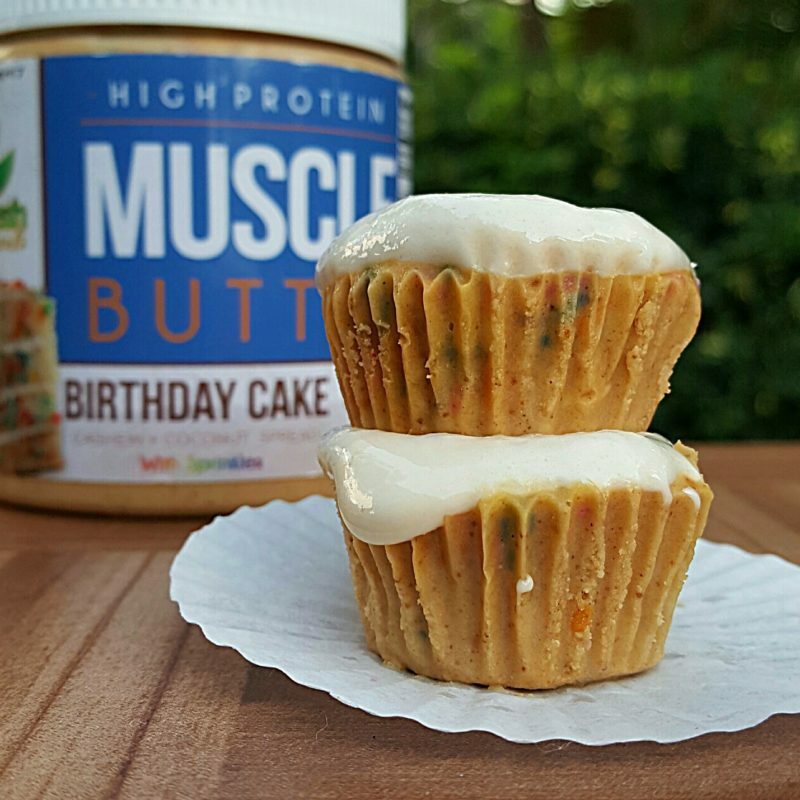 Add 1 Tbsp of our Birthday Cake Muscle Butter to each mini muffin liner and freeze. Wait 20-30 minutes and remove from freezer. Top with 1 tsp of vanilla greek yogurt and enjoy! This entry was posted in Recipes and tagged Birthday Cake Muscle Butter, healthy recipes, high protein.